I took some clients on a wine tour to Jerez today and at one of the wineries that we visited we saw a group of people starting to set up some new sherry casks or butts as they are normally known in the trade here (see photo below). Sherry is aged in butts that are often many decades old, meaning that most of the tannins have been leached out, which is what the producers want. Tannic sherry is not something that would sell very well! So what are the new butts for? They will have sherry aged in them for two years before being sent off to Ireland or Scotland to be used in the process of making fine malt whisk(e)y.The interior of the butts will have become impregnated with sherry which will give complexity to the whisk(e)y. 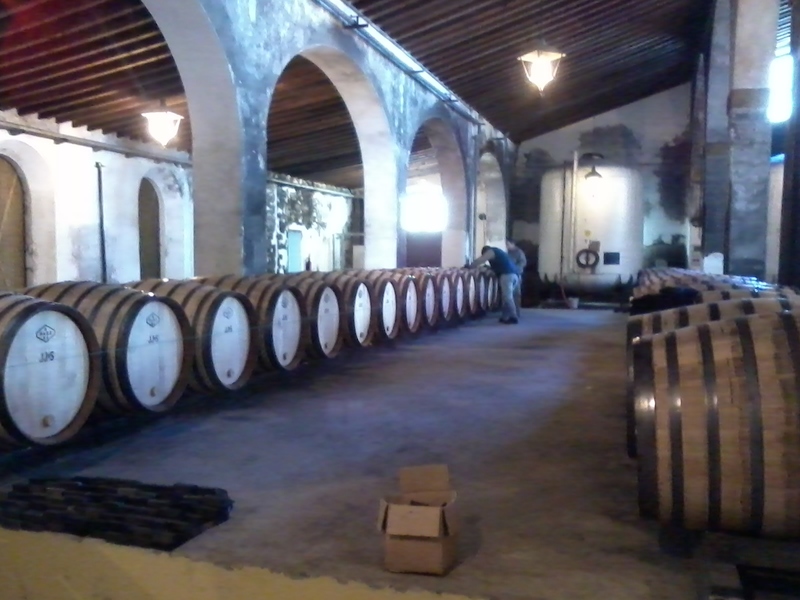 The sherry that has been used to condition the barrels cannot be used for drinking. Certain components can be extracted from it and then it will be distilled. Years ago sherry was shipped in butts so there was a ready supply of them and the UK and Ireland. As this is no longer the case the sherry butts have to be sourced in Spain.